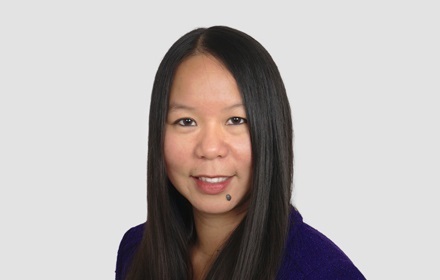 Gillian P. Yee is a Principal in the Detroit, Michigan office of Jackson Lewis P.C. She has extensive experience providing employment-related litigation and counseling services to management clients in a wide range of areas affecting employers. Ms. Yee defends employers against lawsuits brought under various state and federal employment laws, including the FLSA, FMLA, ADA, ADEA, Title VII, Section 1981, Michigan's equivalent statutes and common laws, and state-specific statutes, such as Michigan's Whistleblowers' Protection Act, Michigan's Payment of Wages and Fringe Benefits Act, and Michigan’s Bullard-Plawecki Employee Right to Know Act. Ms. Yee litigates these matters in state and federal courts at the trial and appellate levels, as well as in arbitration. 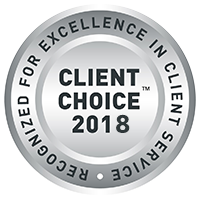 While Ms. Yee's practice primarily focuses on protecting clients' interests in court (and before government agencies), she regularly partners with in-house counsel and human resources teams to minimize the risk of lawsuits and agency complaints. With a keen understanding of the applicable legal landscape within the context of business needs, Ms. Yee routinely provides employers with practical guidance for addressing specific employee issues, as well as the strategic implementation of personnel policies and procedures. On a daily basis, Ms. Yee advises and counsels clients regarding a myriad of employment issues (including investigations, corrective actions and terminations, final payments of wages and fringe benefits, onboarding new hires, requests for leave and other accommodations, safety complaints, garnishments, and others). Ms. Yee is particularly experienced in the legal nuances and business constraints as they relate to enforcing and invalidating restrictive covenants, such as agreements regarding non-competition, non-solicitation, and non-disclosure/confidentiality (as well as related claims involving tortious interference, misappropriation of trade secrets, civil conspiracy, and statutory conversion). She is well-versed in drafting, reviewing, and providing strategic recommendations regarding such agreements, and routinely prevails at the litigation stage — whether engaged by the client to initiate suit or defend against enforcement. Passionate about diversity and inclusion, Ms. Yee is looking forward to advancing Jackson Lewis’ initiatives in this regard and is honored to have been selected to serve as Co-Chair of the Firm’s Asian American Resource Group (AARG) beginning in January 2019. Before joining Jackson Lewis, Ms. Yee was a shareholder at an international employment law firm, where she co-founded and co-chaired the firm’s business resource group supporting Asian attorneys and served for five years as her local office’s ambassador for diversity and inclusion. Outside of work, Ms. Yee is active in the Michigan Asian Pacific American Bar Association (MAPABA), which she played an integral role in revitalizing in 2010 after several years of inactivity, serving as its vice president through 2014 and president through 2016. While attending law school, Ms. Yee served as Managing Editor for The Journal of Law in Society, interned for the U.S. Equal Employment Opportunity Commission (EEOC) in Detroit, and completed an externship with Justice Robert P. Young, Jr. of the Michigan Supreme Court.